ST Springs - Sport - Dezod Motorsports Inc - Home of the automotive performance enthusiast since 2002. When you are simply looking to lower your vehicle to reduce the unsightly wheel well gap and increase your vehicles handling, trust Suspension Techniques to get the job done right. Suspension Techniques Sport Springs are available for an extensive range of applications in multiple lowering options; each one specifically engineered for optimal performance and comfort. 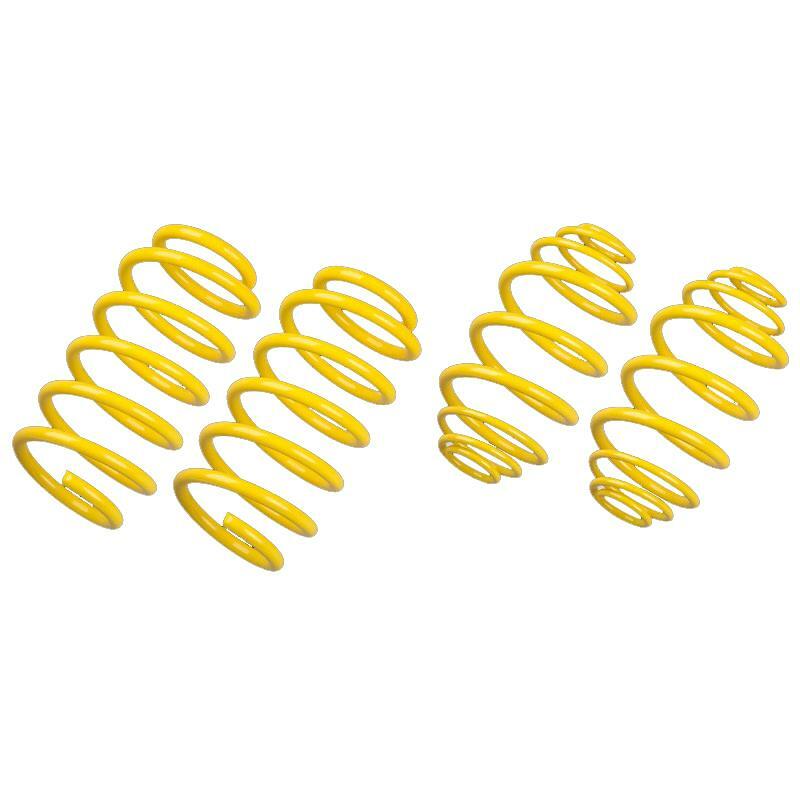 Improve your ride with ST Suspension Sport Springs to lower the center of gravity, reduce body roll in corners, and limit weight transfer under acceleration. ST Sport Springs are manufactured to the highest worldwide quality standards: they are custom wound out of high-tensile steel, rigorously tested and inspected, and powder-coated our distinctive green or blue color for durability.